Dr. Hathout addresses live issues which members of no religious community can ignore. …He guides the reader on the path of intellectual discourse previously chartered by great Muslim scholars like Imam al-Ghazzali. The book will have an important role in religious studies classrooms, including my own. Addresses key issues of our time, from the Islamic perspective. Dr. Hathout, in this wise, warm and inspiring work, is speaking to the audience of human kind in the Age of Selfishness, “Microtheism” and “Godlessness”. In his clarion call of hope, the author maintains that when a “minimum critical mass” turns to understanding and cooperation, real change is possible. 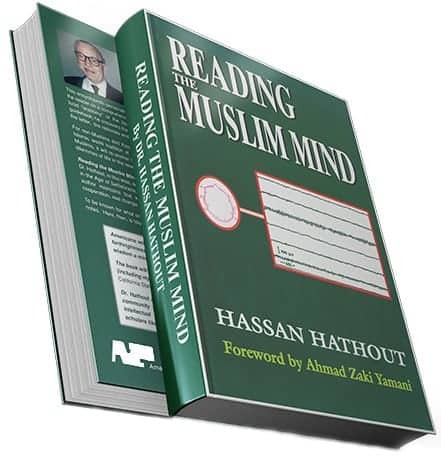 © Copyright 2019 Reading The Muslim Mind. All rights reserved.